#TUSD is working to create a plan to improve racial diversity among its teachers. The plan could be implemented as soon as May 1. #TUSD is tasked with developing incentives to recruit teachers to campuses where their presence would improve racial diversity. 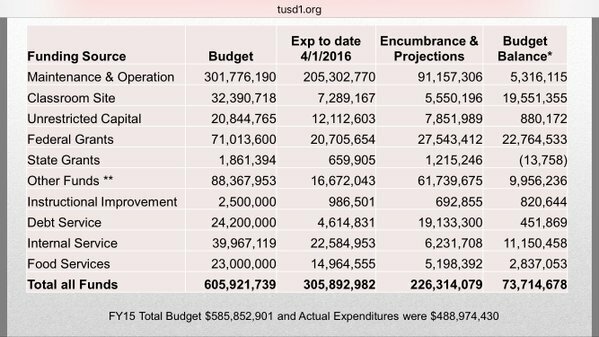 Moving on to the #TUSD 15-16 budget update from Chief Financial Officer Karla Soto. 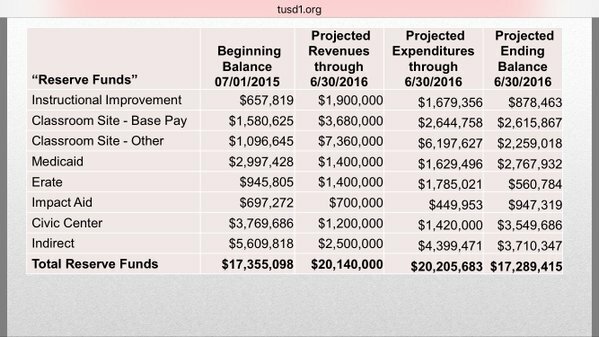 Soto says over the last eight years, #TUSD will have lost $117 million in capital funding.